I can’t believe it’s only been just over 2 weeks in Lombok and the Gili islands that I have spent with a small team of FOUR PAWS Disaster Relief Unit responders. We arrived not knowing what to expect on the ground. We only had some intel from the regional disaster agency and the news reports to rely on. I have never been to Bali or Lombok and have never heard of the Gili islands. We found contacts within our partners network and began to plan our arrivals in Kuta, Bali. After getting approvals with local animal welfare groups and the authorities, we worked on a first staging area to monitor and assess the chances of getting access on the ground. We learned that Lombok was being covered by the Bali Animal Welfare Association (BAWA) and that they needed immediate emergency support for animal food. However, we also learnt that no one had addressed the many horses and cats on the Gili Islands. Through our local contacts we found a group called the "Horses of Gili" that was dealing with over 100 horses and 400 cats running loose on Gili Trawangan. We were getting reports of over 200 cats and 100 horses on Gili Air and about 60 horses on Gili Meno. We saw that the Gili islands off the Northwest coast of Lombok were very isolated, there were no public ferries running because the earthquake had damaged the piers and jetties normally used by larger vessels. There was no electricity and no running water. The island still has no source of freshwater and many of the residents had left the island to seek safety on a bigger island or return home to check on their families in Northern Lombok that was also devastated by the earthquake. I am very proud of the work that our team was able to contribute to the people and animals of the Gili Islands and to Northern Lombok. Our disaster relief unit at FOUR PAWS is a professional animal disaster team looking after both communities and their animals in disasters to help communities recovery quickly after a disaster. So here we are on the Gili Islands. First, we had to figure out how bad the conditions of the animals was, what resources were needed and where the animals were. We discovered that the horses were mostly stallions and that, scared of the earthquake, they broke free of their stables and began fighting with each other. The few remaining residents were afraid they might get trampled by a herd of fighting horses. The cats on the island were very hungry. Almost all of them had a genetic trait that produced a kink in their tail with small feet. Despite those hassels, they are exceptionally friendly and cuddly. We saw the poor kitties all meowing on the street crying for food and water. Without their owners or all the guests on the island, there was no one to care for them. With the destruction some of the cats were injured by the buildings or had developed upper respiratory infection due to the stress of the earthquake and falling buildings. 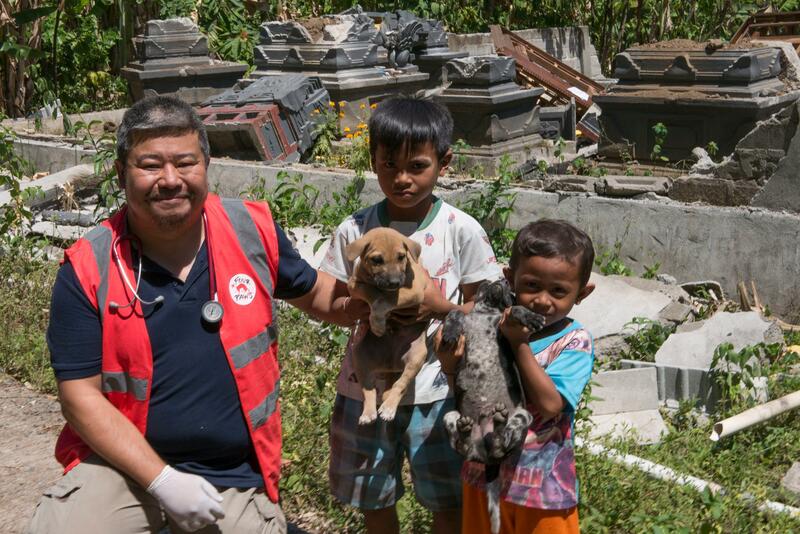 Help our Disaster Relief Unit save animals all around the world! Our team developed a plan together with the "Horses of Gili". Our job was to help catch loose horses, provide food and treat the injured stallions while the people tried to get back to having a normal sense of life. Our mission was to provide a need for public safety and animal welfare. We wanted to provide all the emergency aid necessary to keep the animals alive so they can be returned to their owners. Fortunately, our veterinary team was able to bring or find veterinary supplies through our local partners but finding animal food was a huge challenge. Businesses on the island were not in normal operations and fearing another earthquake and a possible tsunami. Even animal food suppliers on Lombok were unable to get supplies from their distributors. We did eventually find good reasonable sources of food for the all the animals when local small boats began to start to make small deliveries. I was able to secure permission to join the team in Northern Lombok and was able to attend to the needs of the communities across the earthquake devastated region, where 100% of the buildings were in ruins and over 500 people had died due to the collapsing buildings. The survivors all worked together in small camps, where they cooked and gathered together daily. My arrival with the BAWA team was welcomed and they began to bring me all their animals for examinations and treatments. 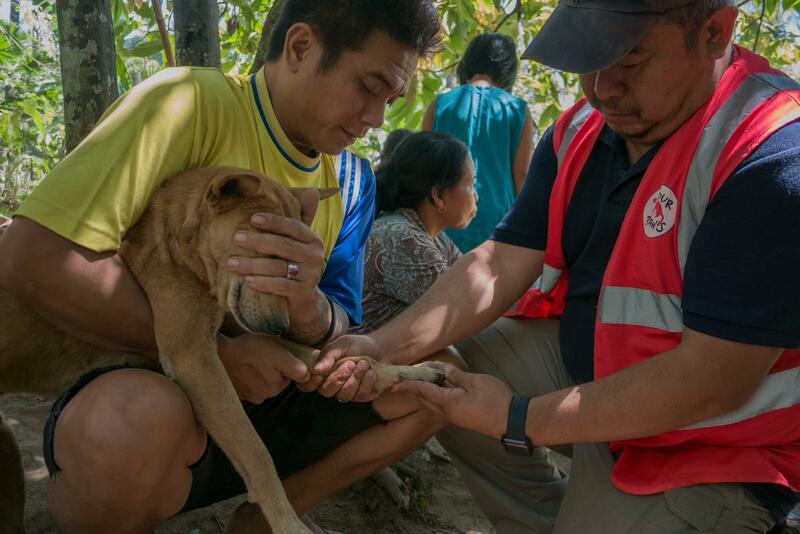 I was happy to learn that very few had sustained bad injuries, but many needed basic veterinary care and emergency pet food to keep the community from sharing half of their food supplies with their animals. I advised owners about healthy diets for their pets to keep them in good health and treated many dogs for basic care like deworming. I will miss the kindness of the people here and their love of their animals. I wish them a speedy recovery. Jackson has worked for many conservation and animal welfare organizations, and has over 20 years of experience in non-profit management, providing support and expertise to hands-on work with animals. He responded to disaster relief efforts in Iraq, Indonesia, Philippines, China, Japan, Thailand, India, the Caribbean, Australia, and the USA. 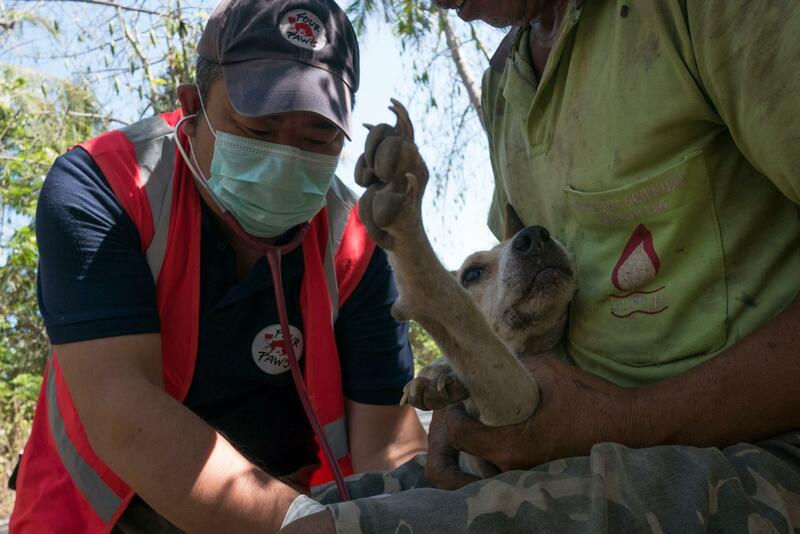 Jackson is the Director of the Disaster Relief Unit, which assists communities with animals affected by disasters. 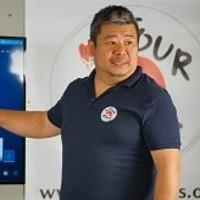 He is currently affiliated with universities in the USA and China.